This research initiative focuses on the 1990s as a significant turning point in contemporary art practices around the world, particularly in relation to the dramatic changes that happened to artists in Russia under perestroika. In art world terms, the potential for a new concept of the international started to form in the 1990s with the explosion of biennials around the globe, the simultaneity of expanding art centers, and the increased movement—through communication and travel—afforded to artists and curators. 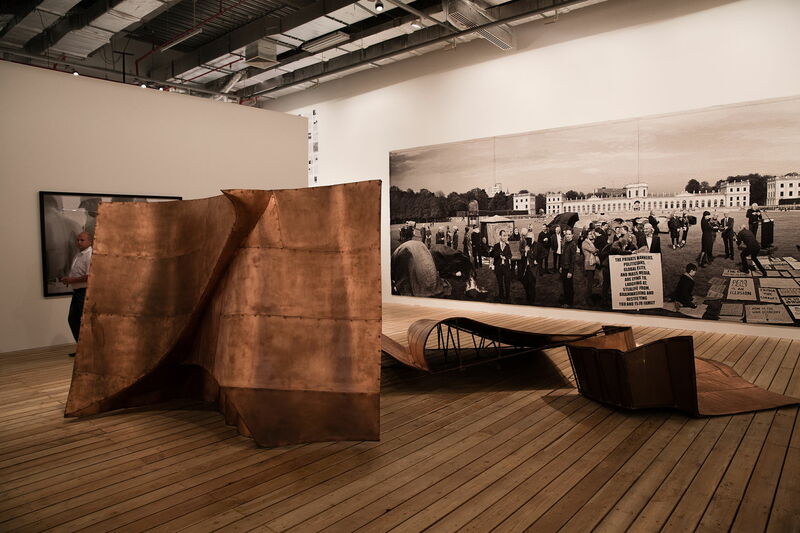 Responding to the larger social and political contexts in which this emerging cultural potential was being created, artists made fresh connections between (and in spite of) events, actions, and ideologies. 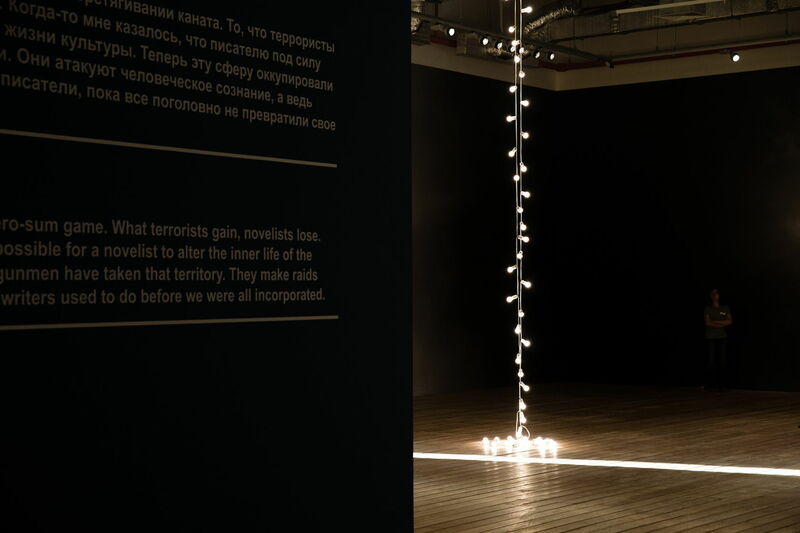 The first stage of the research consisted of two consecutive exhibitions, Reconstruction 1: 1990–1995 (September 18–November 24, 2013) and Reconstruction 2: 1996–2000 (January 24–March 23, 2014), which took place in collaboration with the Ekaterina Cultural Foundation in Moscow. These exhibitions provided the foundation for two publications with the same titles (in Russian and English). Together these projects provide a comprehensive survey of Moscow art life over the decade, through the lens of the galleries that emerged during that the period. 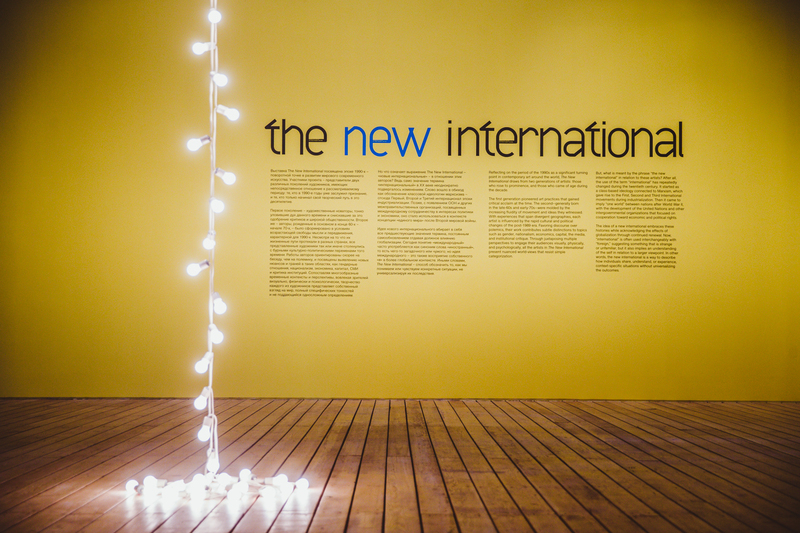 This was followed by the exhibition The New International (August 1–September 21, 2014), which drew from two generations of artists—those who rose to prominence, and those who came of age during the 1990s—to reflect on the changing relationship of art practice to pressing political and cultural issues of the time. 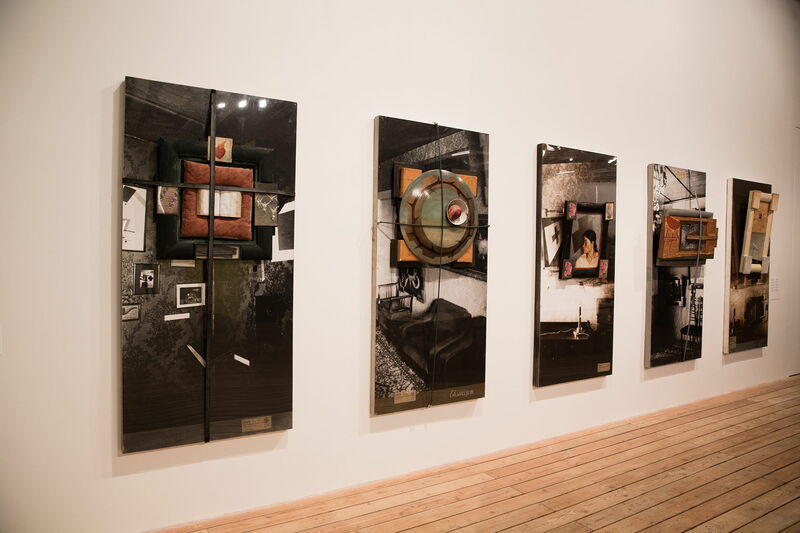 The exhibition provided the context to develop two archival initiatives, around IRWIN's NSK Embassy Moscow (1992), and Alexander Brener's 1997 action in the Stedelijk Museum in Amsterdam. 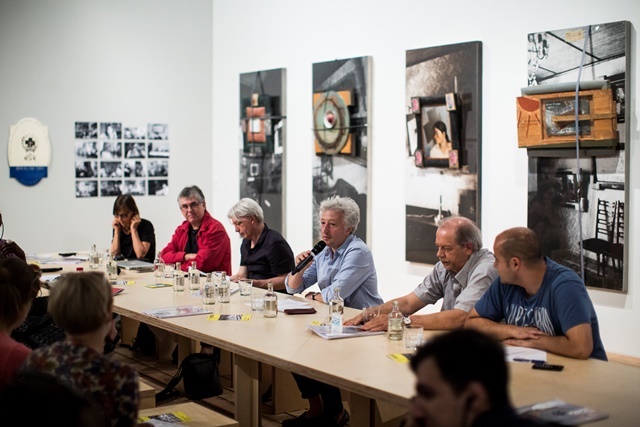 NSK Embassy Moscow was the first project in Russia to establish a direct dialogue with artists from Eastern Europe. For a month, the IRWIN-NSK Embassy was established in a rented apartment at 12 Leninsky Prospect, close to Gorky Park, hosting lectures, debates, and performances with artists, critics, and philosophers under the auspices of the concept "How the East Sees the East." 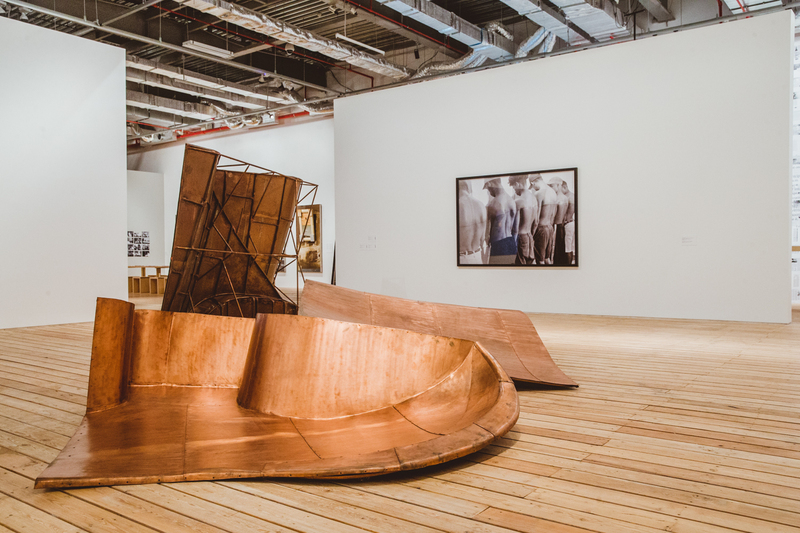 Exploring contexts for art in the former USSR and the former Yugoslavia, the project sought to identify intersections and contradictions between the two socialisms. There were four components to the NSK Embassy Moscow Revisited—objects and artworks related to the creation of the Embassy; documentation of its activities including photos, videos, posters, and invites; the development of the historic record through original participants sharing archive materials; and a discursive program including recollections of the action in 1992, as well as current perspectives on "How the East Sees the East" now. 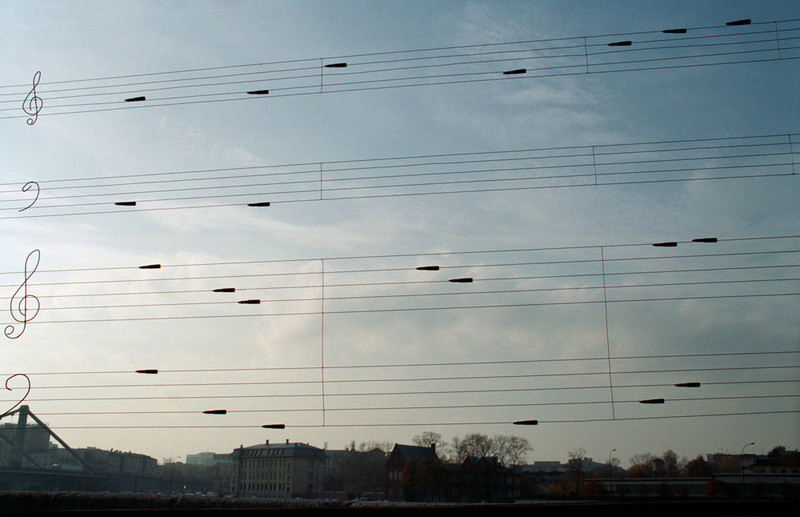 The second archive project focused on Alexander Brener (b. 1957, Kazakhstan, former USSR) who gained international notoriety during the 1990s for performing provocative public actions in Russia, as well as in European museums and exhibitions. In 1997, the artist spray-painted a green dollar sign on Kazimir Malevich's Suprematisme while it hung in the Stedelijk Museum in Amsterdam, for which he was arrested, tried and jailed. This provoked a heated media debate over the artistic value of the action, in relation to the lost market value of the painting. For The New International, an archive of related artworks, films, press and other forms of documentation revealed how Brener's action impacted an art community. 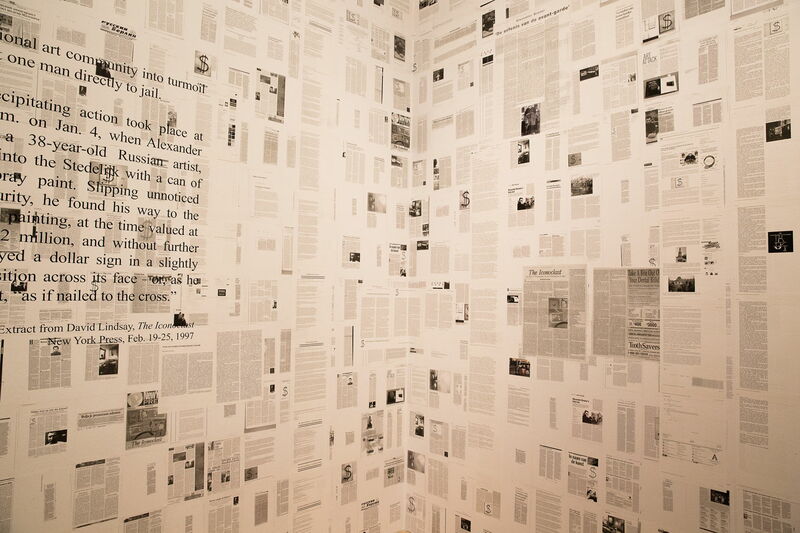 For example IRWIN, Giancarlo Politi (Flash Art) and artist Rainer Ganahl all wrote public letters and statements of support; Malevich made paintings commenting on the incident and wrote to the director of the Stedelijk; filmmaker Michael Benson recorded the trial and distributed a transcript of the proceedings; Alexander Sokolov made court drawings, and wrote substantial articles on the action and its outcomes; Judith Schoneveld and her collaborators in Amsterdam rallied support for the artist, producing an event responding to the trial and a book of Brener's writings in jail; and TV Gallery in Moscow hosted an exhibition responding to the action, featuring a film by Olga Stolpovskaya and Dmitry Troitsky called Bruner's Trial. Continuing Garage Archive Collection research—which began with Reconstruction—into the little-known activities of Russian artists during the 1990's, Exhibit Russia: The New International Decade reveals how the Russian art scene connected to the rest of the world during the turbulent decade following Perestroika (1986–1996). Due to be released fall 2015, the publication focuses on 20 major group exhibitions and events—those which jettisoned Russian artists to international attention, or introduced Russian publics to Western art stars—providing a unique perspective into the dawning of the global art world. © Garage Museum of Contemporary Art. 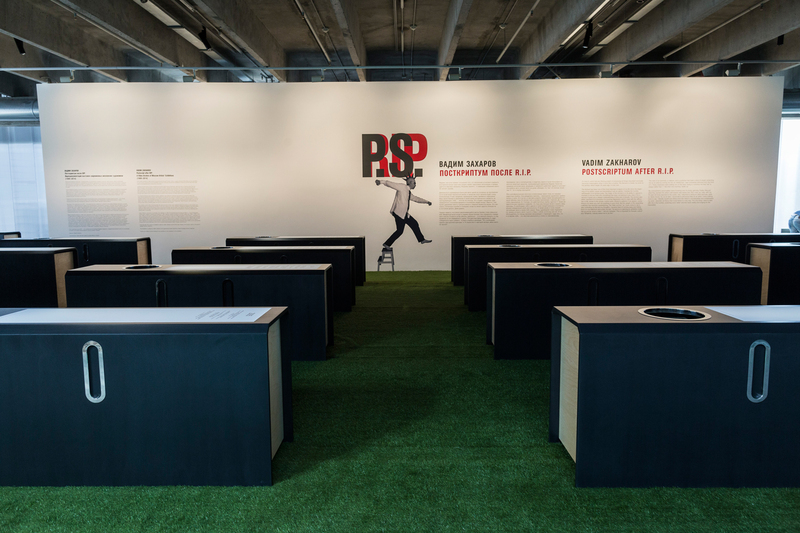 The exhibition Postscript after RIP: A Video Archive of Moscow Artists' Exhibitions (1989–2014) (August 24–October 15, 2015) exhibition will presented a selection from the artists video documentation of more than 180 key group and solo exhibitions of Russian contemporary artists in the West from 1989 until 2010. 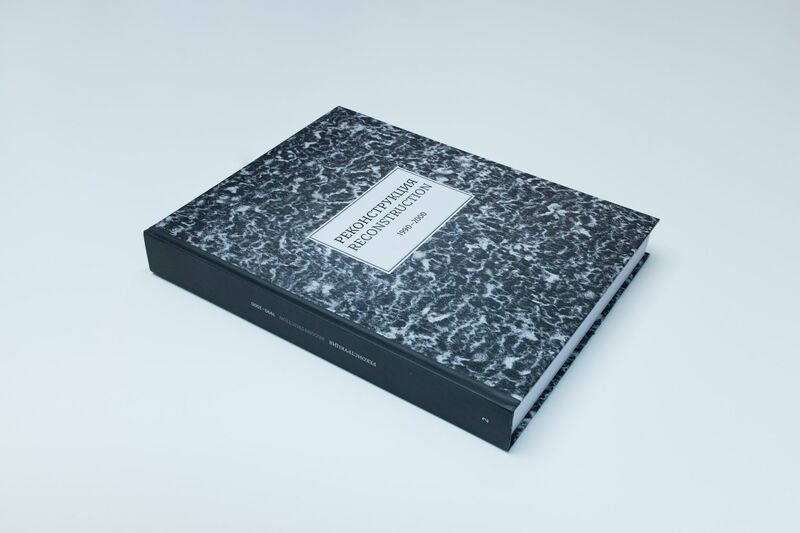 Postscript after RIP is part of the large-scale conceptual project "Pastor Zond Editions" and a continuation of the Moscow Conceptual School's tradition of self-archiving. The exhibition interprets Moscow art life from 1990-2000 and celebrates the decade that could be rightfully termed as the age of legitimization and propaganda of contemporary art in Russia. 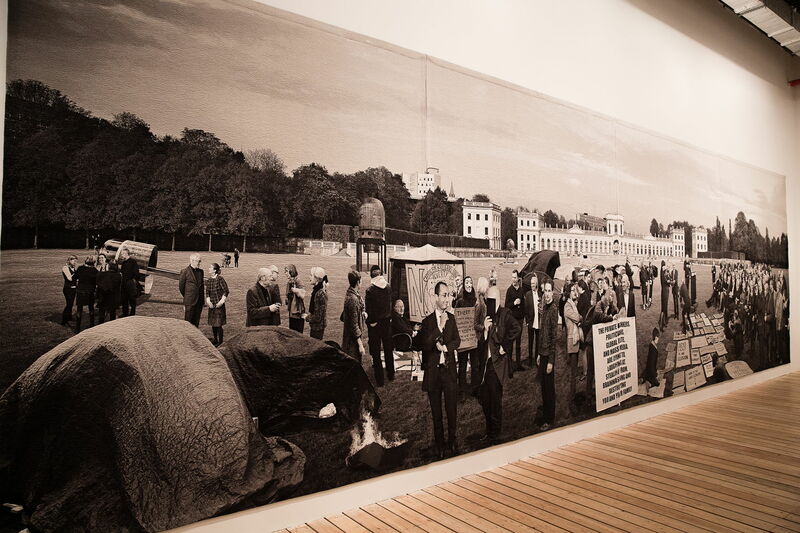 The second part of Reconstruction continues the main subject and focus on the Moscow art world during the 1990s, but concentrating on the period from 1995 through 2000. The book provides a commentary on the Moscow art scene of the 1990s, a decade that saw the legitimization of contemporary art in Russia. Navigating the prevailing discourses after 1989, including the end of the Cold War, the social impact of late capitalism, and an escalating fear of terrorism, the exhibition draws on two generations of artists—those who rose to international attention and those who came of age during the decade. The project is a series of conversations and roundtable discussions between some of the original participants of NSK Embassy and a new generation of practitioners. 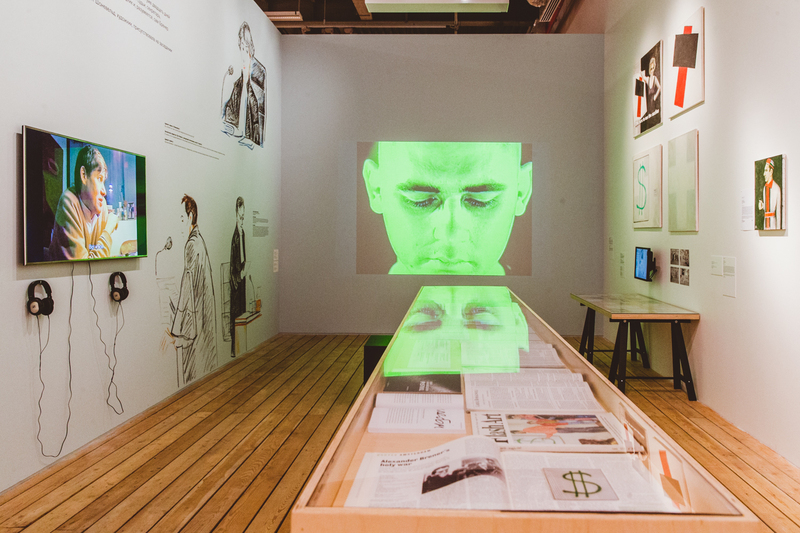 Artist Vadim Zakharov's video archive—produced over the last 25 years—offers a unique overview of the Moscow Conceptualists, as well as their predecessors and immediate successors, through recording the exhibitions in Moscow and the West that made public the protagonists who formed this community.